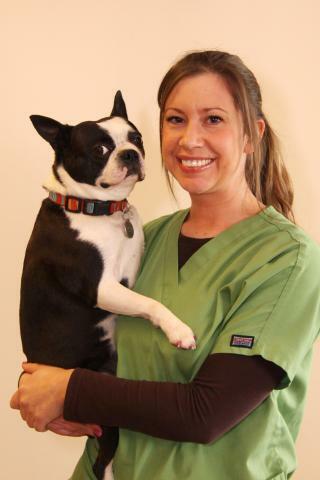 Jessica has been at The Pet Doctor for 8 years. She is truly the backbone of the practice and always works hard to do anything that is needed. Jessica takes care of all of the ordering for the clinic, which is truly a daunting task! She makes sure that we have everything that we need to provide the very best care for our patients, while also keeping the practices finances in mind. Throughout the years, we have tried to change protocols to follow the latest guidelines and recommendations. We have gone through AAHA accreditations, cat friendly protocols, new anesthesia/pain guidelines, etc. and Jessica is always willing to embrace any changes that will benefit our patients. Jessica is always keeping the client's needs in the back of her mind and I have seen her go very far out of her way to help our clients with anything at all that they need. I appreciate her so much. There is not a day that goes by that I will ask her to do something and it is already done! It is like she reads my mind. I cannot ever show how much she has meant to the clinic over the years and I was so excited to have this way to honor her! Thanks, Jessie! You're the best and we love you! Leave a donation to help the foundation in honor of Jessica Foust-Lasater.